Remember to squat down to lift up a box instead of bending at the waist. Mentally we need to think of squatting down instead of hinging forward, which increases the strain in our low back. We have all seen people do this at home or work, they bend down to get a shoe and hinge forward from the low back joints. We forget that this position increases the amount of force and strain across the lumbosacral joints and increases the likelihood of low back sprains. Just like anything else in life, a little bit probably won't hurt you. However the hinging motions are a habit for many people. They don't realize that they have lost their low back and gluteal strength, and now hinge forward every time they pick something off the ground. What used to be once or twice a week occurrence is now a habit. Every hinge is a step closer to “throwing their back out” or developing a severe low back sprain or disc injury. 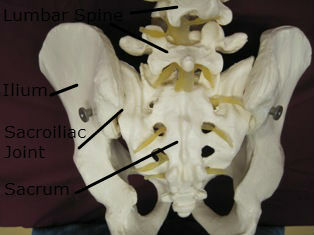 Patients with chronic low back pain tend to hinge. Pain and back injuries have shut off or weakened their core muscles. In response to their muscle weakness, they use other muscles to help them bend, lift, or twist. Even though the pain disappeared they did not return to their proper squatting movements. They created a habit that has inadvertently increased their severe low back pain episodes and daily back pain. Patients who hinge are very likely to have weak core muscles and are unable to perform many of the basic bridging exercises. 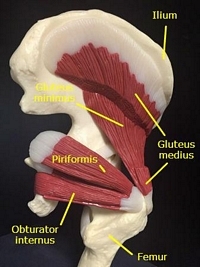 They also have weakened gluteal and hip muscles, further increasing their likelihood of hinging. These patients also have a tendency to have tight hamstrings and glute muscles. Therapy involves light stretching of the calf, hamstring, gluteal, and low back muscles. Massage therapy may be utilized to reduce muscle spasms and tension across the low back, gluteal, and hamstring muscles. Core strengthening exercises are performed to establish normal muscle patterns and strength, reducing the likelihood of future injury. Bridging is a sequence of exercises that progress from the easy to difficult. See core and back bridging exercise series here. Hinging at the low back increases our risks of low back pain. It is commonly the result of previous episodes of low back pain and muscle spasms. We have to focus on squatting instead of hinging to lift items off the floor. We also need to reteach our low back muscles and hip muscles how to work together again through an established series of exercises and stretches. Working on squatting will decrease your pain and improve the quality of your life. This is especially important with people who have experienced severe low back sprains or have lumbar disc injuries; in which hinging is exceptionally damaging to the low back.